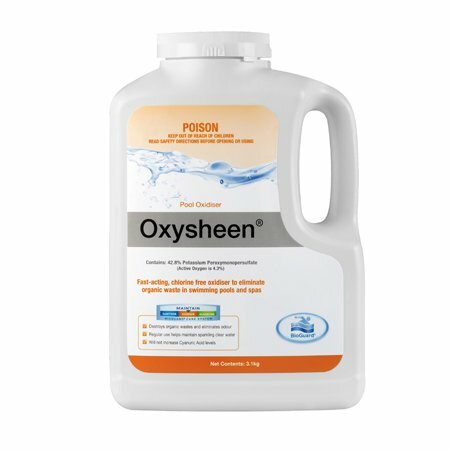 BioGuard Oxysheen is a chlorine-free, stabiliser-free oxidiser treatment for swimming pools. It is easy to use, fast dissolving and swimming can resume one hour after treatment. Will not increase Cyanuric Acid levels. Fast acting easy to use. Regular use helps maintain sparkling clear water. Destroys organic wastes and eliminates odours. Allows swimmers back into the water after an hour.